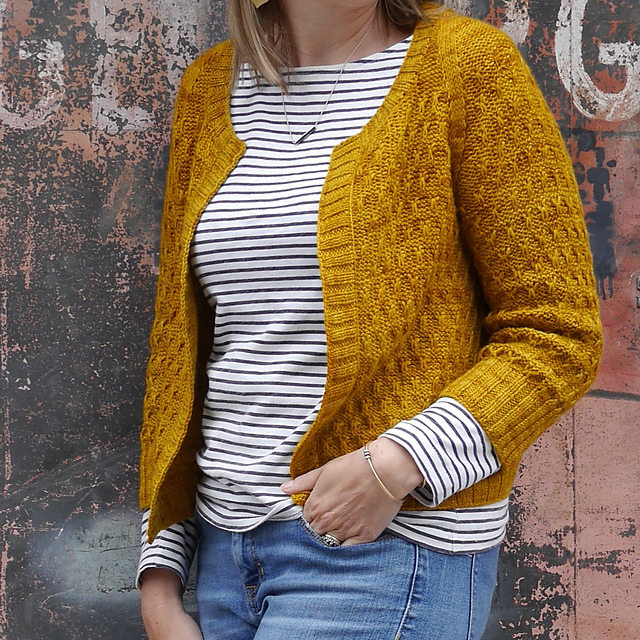 This fun, texturific sweater was designed for a 4-day sweater knit-along. You don’t have to knit it in 4 days, though! Worked top-down and seamless with a unique saddle shoulder shaping that hugs your shoulders, this rhythmic pattern is addictive and fun to work. The pattern is easy to follow and works up quickly!